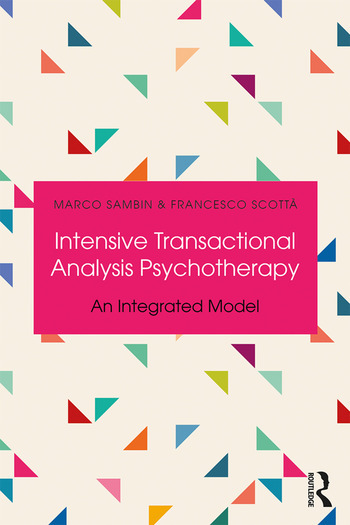 Intensive Transactional Analysis Psychotherapy: An Integrated Model　(ITAP) introduces a new approach of psychotherapy. Based on psychodynamic foundations, the ITAP　integrates the most recent trends in short-term dynamic psychotherapy and Transactional Analysis. This book　develops an innovative, clear and complete clinical model of ITAP, and introduces the reader, step-by-step, to the theoretical basis underlying the technique of this intervention. The authors introduce the therapeutic procedure by bringing together the theory with brief clinical examples, thereby demonstrating the attitude of the intense therapist as well as which theoretical pathways to take to progress with the patient. In addition to the modulation of the technique based on the level of the patient’s suffering, there is also a systematic examination of which cases should be treated with ITAP, and in what way. Intensive Transactional Analysis Psychotherapy is a therapy which can be easily used by all therapists, and this book will be of great interest to Transactional Analysis therapists and other therapists interested in Transactional Analysis and short-term dynamic psychotherapy. Chapter 9 Transference and Countertransference in the therapeutic relationship p. … Sambin (Facchin, Scottà). Marco Sambin is a Full Professor of Clinical Psychology at the University of Padua, a CTA-P and Director of CPD – Centre of Dynamic Psychology, School of Specialisation in Psychotherapy. Past Vice-President Research and Innovation ITAA. Francesco Scottà is a psychologist, a psychotherapist and a CTA Trainee. He is a teacher and a collaborator at CPD – Centre of Dynamic Psychology, School of Specialisation in Psychotherapy. He works privately as a psychotherapist.